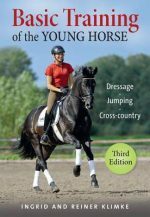 How to use classical dressage, the basis of all other ridden disciplines, to find the best way to ride any individual horse This book explains why and, above all, how to classically train a horse. It explains that riders have to look at each horse as an individual, asking such questions as `What problems does he have? How is his natural crookedness expressed? What is his personality like?` Classical dressage offers a strategy for bringing each and every horse into balance. Anja Beran wants to preserve this knowledge, which has now almost been lost, and make it available to every interested rider in a practical and comprehensible way. She discusses the exercises and describes how to work through them, before explaining in detail which problems can occur and what can be done about them. Classical dressage is guided by the horse’s nature, keeping him healthy and strong and helping him to develop a wonderful and expressive personality. In this way, riding becomes a pleasure for horse and rider.